Blog - Get Involved. Make Friends. Enjoy Motherhood. Tuesday, October 17th, 2017 — Today MOD Moms, LLC announces our newest Platinum Level Sponsor, Angela Alter, Your Friend & REALTOR for Life. Angela Alter, Your Friend & REALTOR for Life will be the 2018 Monthly Mom’s Night Out Sponsor. “Being a REALTOR® isn’t just about buying and selling houses, it’s about helping people. Since 2008 I’ve been building relationships centered on honesty, trust and commitment. Whether you’re selling a home, broadening your investment portfolio or buying for the first time, I’m here to serve you. As a member of The Smith Group at RE/MAX Alliance, I share in the combined 80+ years of successful real estate experience. The Smith Group has consistently ranked as a TOP 5 team at RE/MAX Alliance, closing nearly 1,000 transactions in the past 12 years. We have the experience you can rely upon to guide you through the complex process of buying and selling real estate. 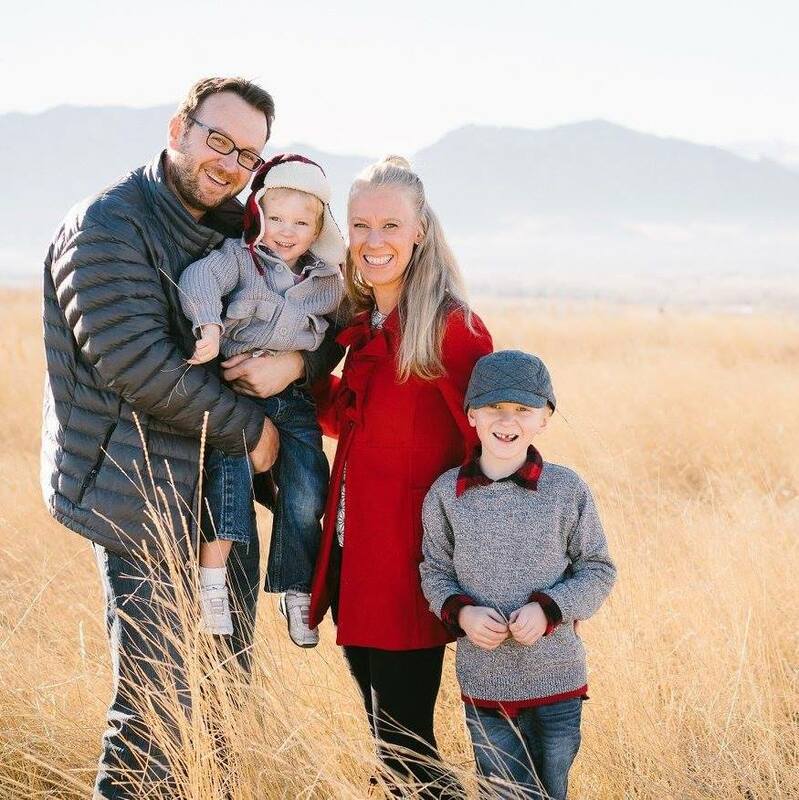 I don’t just sell houses, but homes – where families can build a life and enjoy the beauty and abundance that Colorado has to offer. MOD Moms is a community of diverse moms dedicated to supporting each other and getting the most out of life. This inclusive group is geared for moms and families in all phases of life. With daily activities from playgroups to happy hours, we invite you to meet the moms who will become your friends for life. Founded in 2008, MOD Moms continues to grow and evolve to serve our members. We have received top honors from Constant Contact for our communication reach and from Impact on Education, Crayons to Calculators and The Superior Chamber of Commerce for our community service. Sunday, October 8th, 2017 — Today MOD Moms, LLC announces our newest Platinum Level Sponsor, Allstate Insurance: Davis Financial and Insurance Group. Allstate Insurance: Davis Financial and Insurance Group will be the 2018 Monthly Member Brunch Sponsor. Three years ago my family and I moved to Colorado from Minnesota to give our two young boys the opportunity to grow up in such a beautiful state, but also for new career opportunities. During my 13 years in education in Minnesota, I always worked in schools that had a high percentage of free and reduced lunch rates and students that truly needed all of the additional supports they could get. Our first year in Colorado, I worked at a school in Northeast Denver, that was similar, very diverse, and families in need. However, there was always one piece missing…a community that could support the families in need. It wasn’t that they didn’t want to, but in most cases they couldn’t. During our first year here, I quickly started to hear and learn about Boulder Valley Schools. How amazing they were, the opportunities that they had for students, and the strong community support behind the schools. Every day I was driving 60 minutes or more to work, and that was taking the tollway, so add $2,500 on to my commute. Although the students I worked with in Northeast Denver were amazing, and every day was rewarding, my own children were being raised at daycare. Thus, I knew I needed to make a change, I focused in specifically on Boulder Valley School District, the St. Vrain District, both districts that are supported by Crayons to Calculators. But, to be honest, I was a little worried because I have always had a passion for working with a diverse population. I now have the best of both worlds, I work in BVSD, and in a diverse school. I am beyond honored to be one of the Assistant Principals at Angevine Middle school. For those of you that aren’t familiar with Angevine, it is a true gem of a middle school in Boulder Valley. It is the largest and most diverse middle school in the district, with over 700 students, over 43% of them are students who receive free or reduced lunch. Angevine also has a pre-engineering program, and 160 TAG students. Angevine is a true representation of the world that our children are growing up in, which is what makes it so amazing! I love watching the students interact, learn and show compassion, and tolerance every day regardless of their background, their race, or their socioeconomic status. However, the success of Angevine, wouldn’t be possible without the support of the community, Impact on Education, and the Crayons to Calculators Drive. Many of our students go without in their lives outside of school, and are fighting battles many of us will never understand, or supporting their families rather than just being a kid. This is not the case while they are at school, our students have everything they need to be successful and have equity in their education. 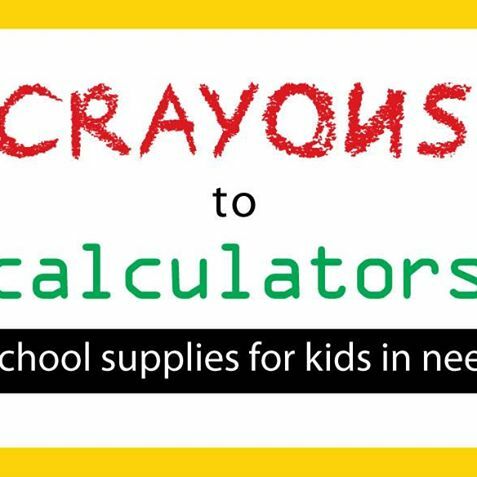 Thanks to Crayons to Calculators, if a student needs a backpack full of supplies, the parents and the students don’t have to worry about not having it, they get what they need, and they are proud of their materials. These materials allow for our students to focus on what is important, being a kid, and doing well in school, and not about where are they going to get the extra money so they can have a backpack, a calculator, or the notebooks they need to be successful at school, and begin to live their dreams. Crayons to Calculators also helps us with keeping a stock of materials for our students to use throughout the year, because we all know how well a twelve year old can keep track of a highlighter! Angevine teachers have also received various Impact on Education Grants that have allowed for a more innovative, engaging, and equitable education for all of our students. iPads for individualized learning, headphones for assessment and intervention work, and money to supplement and support more innovative and hands on tools and experiences to make learning fun for our students. Items and experiences that wouldn’t be possible without the support of the Boulder Valley community, Impact on Education, and Crayons to Calculators. Louisville, Colorado, June 6th, 2017 – Today MOD Moms, LLC launched a new corporate logo. This logo marks the forward moving change to the identity of the organization. This new logo reflects what MOD Moms are today: modern, current, inclusive, connective. MOD Moms long term vision is to create a contemporary group for moms at all stages of motherhood. MOD Moms recognizes that there is no standard for raising families. The new logo reflects the direction of the modern mom. This new logo is the work of Jena Siedler. Jena instantly recognized the vision of the organization and brought the vision to actualization. Jena Siedler is a freelance graphic designer with over 15 years of experience. She specializes in print and experiential design, with clients including: Denver Art Museum, Lighthouse Writers Workshop, Golden History Museum, and Aurora History Museum. You can view Jena’s work on her portfolio site by visiting www.jenasiedler.com and contact via email at jenasiedler@gmail.com. MOD Moms is a community of diverse moms dedicated to supporting each other and getting the most out of life. This inclusive group is geared for moms and families in all phases of life. With daily activities from playgroups to happy hours, we invite you to meet the moms who will become your friends for life. Founded in 2008, MOD Moms continues to grow and evolve to serve our members. We have received top honors from Constant Contact for communication reach and from Impact on Education, Crayons to Calculators and The Superior Chamber of Commerce for our community service. Effective immediately, MOD Moms has agreed to utilize the services of ClubExpress. Louisville, Colorado, May 5th, 2017 – Effective today, MOD Moms will begin to utilize the services of ClubExpress. This partnership will roll out in phases as the management team of MOD Moms learns all of the capabilities of this new system. This system will privately house all of the events and calendar features to our current members, as well as all communications throughout the group. “ClubExpress was developed by Gembrook Systems, LLC, a software development firm based in Schaumburg, Illinois, a suburb of Chicago. We’re a group of club and association veterans; we’ve been involved in car clubs, computer clubs, community service clubs, entrepreneurial groups, and various outdoor clubs for many years, both as members and as officers. We’ve also been software developers for more than 25 years, and have worked with the Internet and web-based technologies since the earliest days. Our founders have developed some of the most sophisticated Internet applications ever deployed. We’ve also enveloped custom membership databases for a number of membership-based organizations. So we know what clubs and associations need. As club administrators, you know that one of the toughest problems facing any club, large or small, is finding enough volunteers to run the club and organize activities. Being the one who does the work behind the scenes can be a thankless task and with our increasingly busy lives, our hobbies, professional interests, community service activities, and kids’ activities sometimes get pushed aside. 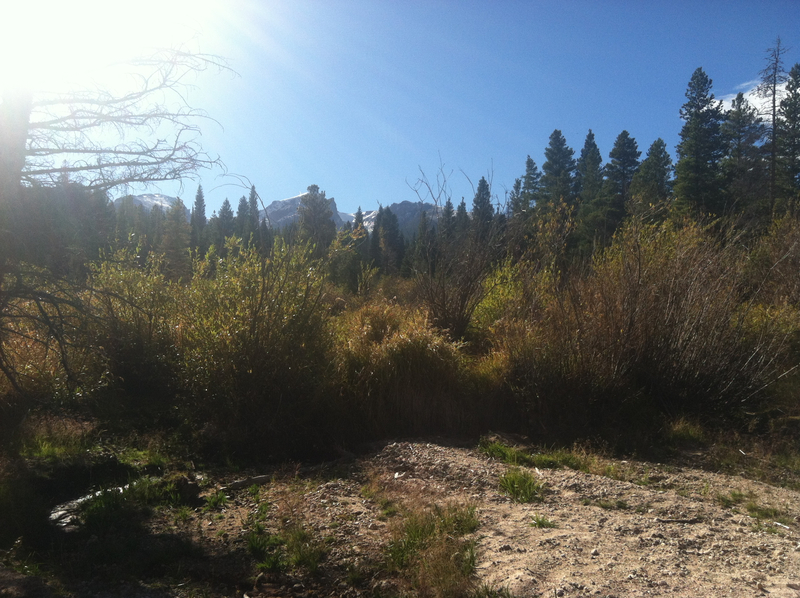 Our mission is to take the drudgery out of running and growing a club or association. Using the powerful technologies of the Internet, we make it as easy as possible to create, manage and sustain a strong, vibrant club, one that people join because it’s fun, because it helps them, and because it adds to their communities. MOD Moms looks forward to a long, sustainable partnership with ClubExpress. As described here, ClubExpress’s mission is to sustain a strong, vibrant club so our volunteers can continue to do amazing work for our members and within our community. Our goal is to provide a higher quality of value for our members by utilizing their powerful technological resources. I was a senior VP of Investments and Certified Financial Planner with Smith Barney (now Morgan Stanley) for more than 20 years in Houston, Texas. 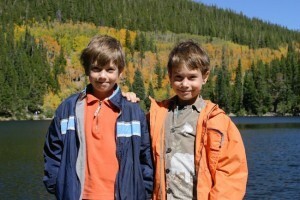 I got married at 35 to my 42-year-old husband and cranked out two adorable boys – time was a wasting after all. When you have a full time stressful job (is there one that isn’t?) it truly takes a village. We relied heavily on the kindness of not only strangers but also family and hired help. Our second child, Elliot, was all of 4 weeks old when I felt that something wasn’t right. He didn’t make eye contact (when he nursed!) and seemed to be in perpetual motion. I knew in my gut he had autism. This was 1997, and autism was just starting to be on the radar, as opposed to the full blown epidemic it has since become. Being the kind of person who believes “everything worth doing is worth overdoing,” I jumped into overdrive and surfed the internet until 2 am every morning researching every possible intervention known to man. We did gluten- and casein-free diets, sound therapy, supplements, skin brushing, as well as the traditional speech, occupational, and “floor play” interventions. By this point, my son was living in the back seat of my car and therapists’ offices. Needless to say, it was a crazy ride. Not so great for the marriage either, which is another story. Then along came 9/11 and after some serious soul searching, I realized I wanted to spend whatever time there was while my kids were still young raising my own children (at this point, we had two full-time nannies) and living in a place where they could play outside without being covered by mosquito bites from head to toe in minutes. We researched various cities that met our criteria (should be safe and have clean air and water, an educated community, and four seasons) around the country. We assessed our financial picture and where we could cut back, and took a leap of faith. We relocated the family to Boulder, Colorado, which had good public schools and more than its fair share of quirky kids. I figured mine would fit right in. 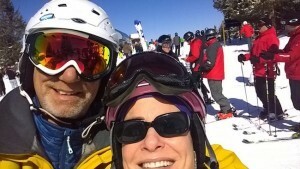 Plus we loved to ski. Elliot was then in 1st grade. For many years I had talked with my mom about creating a children’s book (she’s a writer, of sorts) that would be geared towards kids NOT on the spectrum to better understand the goofy kid in the classroom that was always humming, or putting things in their mouth (that shouldn’t be in there) or saying super funny but sometimes inappropriate things. The goal of the book was to have young kids better understand, and ultimately embrace, other children who may not act exactly like they do. 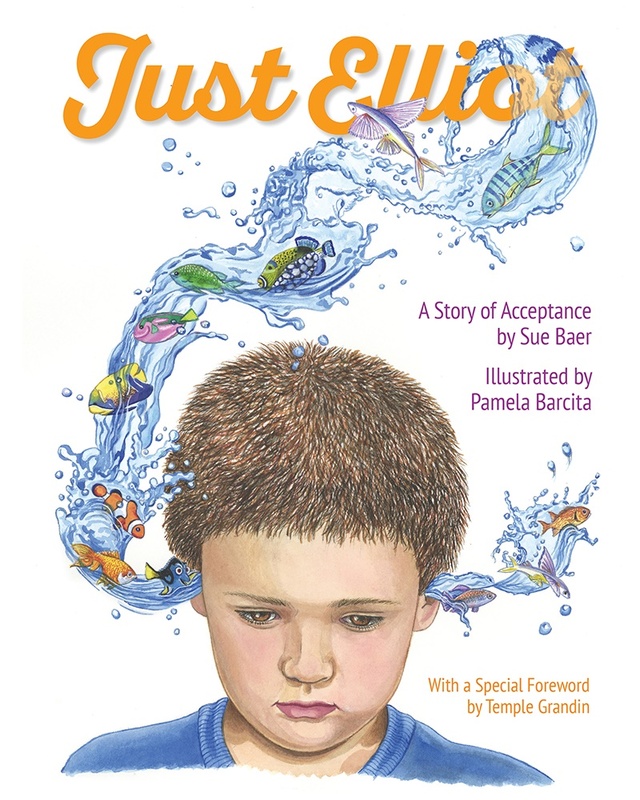 A few years back, I ran into a friend of mine who introduced me to his wife – Sue Baer, who, it turns out, is an award winning children’s book author! Clearly the universe provides when you put it out there – she agreed to write my book for a partnership interest. We worked on the book collaboratively for a couple of years. Then one day while having lunch, I ran into a friend (casual acquaintance really) and mentioned the book and she said that her husband was a publisher who had published children’s books! I called him, pitched it – and he TOO agreed to publish and distribute for his cost plus an equity position in the book! I should mention that Elliot ALSO helped consult on the book and in the electronic “enhanced” version (soon to follow the print) is featured in a cute video! Elliot is now successfully navigating college in Sarasota Florida – frankly, something we couldn’t have imagined even 5 years ago. Miracles happen. While my son was the inspiration for this book, he had only a few of the characteristics we’ve portrayed on these pages. This story is a representation of the behaviors of many children on the spectrum, combined in the person of one child. We hope that children reading it can better understand the different types of behaviors they are likely to see when they look around the classroom. And will celebrate the different kids – because different isn’t scary, once you know the person. I would like to thank my mother for not only getting this (book) together with me, but for never giving up on me, and for raising me to become the man I am today. I hope that the book is successful, and that people take the time to accept that different is good, and that no matter who we are as people, we all have our traits that make us who we are. I couldn’t be prouder – of Elliot or this labor of love. I’ve been there. As you watch your child develop, it can be so fun if everything seems to be developing as you’re told it should. But when you see that other children are speaking much more clearly than your child at similar or younger ages, or when you have trouble understanding your child, you can start to worry. You may try to bury that worry, reasoning that you are probably overthinking things, and very often those around you will back that up with comments about how “it will all come in time” or how there is a wide range for when kids reach developmental milestones. First, let me clarify that it is true about the range with milestones — it is wide. But at the same time, if you are concerned, there is no reason not to take some simple, free steps to get a better understanding of the situation. Of course, getting more information will reduce anxiety for you if your child turns out to be fine. But it can also reduce your stress levels and result in huge advantages for your child if he or she turns out to need a boost and you know you’ve done what you can to help. Also, know that it isn’t a black-and-white situation where the child either needs therapy or doesn’t. There are times when it’s helpful if the parents can learn from a brief screening what they can do at home to facilitate development. So there is every reason to get started on these steps as soon as you can. My hope is that this blog will make the journey easier for you. I understand completely that parenting can be overwhelming and those of us with children who don’t develop typically have extra stresses that can add to that load. This blog post is written for those with children age 5 and younger because once your children are in school, you can discuss concerns with your school’s Speech-Language Pathologist. I’m going to wear two hats as I write this. One will be my Speech-Language Pathologist hat, giving you the logistical details. The other will be a mom’s hat – because I took my own kids through all of this years ago. The information below is about Colorado’s system and Boulder Valley School District. That said, Child Find is available throughout the state of Colorado, and given this is aligned with a federal mandate (IDEA), this general process will be found across the US. Step 1: Schedule an appointment with Child Find. As a parent, you can refer your child for a free school district screening or evaluation – you do not need to have a doctor’s referral. When you call your school district’s Child Find line, you will be asked to explain your concerns. Next, you’ll set up an appointment to get a free evaluation (if your child is younger than 3) or a free screening (if your child is 3-5 years of age). The screening for kids ages 3-5 is about an hour in length, but leave extra time because sometimes there is a wait and sometimes children need time to warm up to the testers. Your child will do a few simple tasks for each of the professionals they work with – a speech-language pathologist, an occupational therapist (for motor concerns), and an educator/social worker/school psychologist. They will have their vision and hearing checked as well. If this quick screening suggests the need for a full evaluation, you can schedule that (again, at no cost to you). A few comments as a mom – I heard rumors about long waiting lists to get in for these screenings and evaluations. As of 2017 the office reported that they try to do screenings within a month of when you call and evaluations within 2 months of your call. As a mom, I also wondered how they would give the feedback – would my child hear what they were saying about him? Would I be able to really listen as they spoke to me or would I be stressed out trying to keep my son busy and quiet? Feedback on a screening or a 0-3 evaluation is given right away, often with the child in the room. So you may want to bring things to keep your child busy. For evaluation results for 3-5 year old children, a separate meeting is held to share the results. You are asked to come without your child for that feedback session (though if you need to bring your child, you can). I also wondered who would work with us for the full evaluation – it depends on your concerns, but typically those involved will include a speech-language pathologist, an occupational therapist, a school psychologist and an early childhood special education teacher. For screenings, fewer people are involved and they are the professionals whose areas of expertise match the concerns you mentioned in your intake call. Step 2: Bring all helpful information to the screening/evaluation. You will be given a questionnaire to complete regarding your child’s development, and if your child is in preschool or day care, you may also be given one for your child’s teacher or child-care worker to complete. Be sure to take time to really think about your answers and write them clearly. If you have documentation from another therapist or evaluation, bring that too. The more information the testers have, the more they will know as they work with your child and as they make their decisions about eligibility. A few comments as a mom: I know it can be hard to find time to fill out the questionnaire but doing it carefully is well worth it. The professionals working with your child will see him or her for only a very short period on one day at this one time. As we all know, our kids are different at different times in different places with different people. This will be a new place with new people and new things, so it is hard to say what will happen. The professionals are typically nice and try to make it fun, but still, your child may be too shy to talk (as mine was) or too thrown off to show his or her true self/skills. So the more you have documented beforehand, the better. Since my son wouldn’t talk, for instance, they had to go by what I had written on the questionnaire. Even if your child is very outgoing, you may find yourself frustrated to see that the concerning things you noticed at home just plain don’t come up during the screening. If that happens and you have written documentation of what you see at home, that factors into the team’s decision-making processes. STEP 3: Get all you can from the freefollow-up options (which may include therapy and/or district preschool programs). If your child qualifies for therapy through the school system, then you will be offered one of two things – if your child is under 3, you will get free therapy in your home or a nearby facility; if your child is 3-5 years of age, you will be offered free preschool within the district. If your child does not meet the eligibility requirements, you may be given things to do at home to help facilitate development. If your child’s case is not clearly in one category or the other, you may be asked to come back to do the screening again at a later date to see if your child has grown into the skills in question without help. Of course, it is also possible that your child is not in need of anything at all, in which case you will have that valuable piece of knowledge and can rest easy about your prior concerns. A few comments as a mom: We did both of these things – starting with in-home therapy when my older son was under 3. Yes, you feel like you have to tidy up a bit for the therapist and that can be tricky with little ones, but it’s also nice not to have to lug everything and everyone out of the house to go to elsewhere for therapy. Also, having someone come in can be a nice break in the middle of what can feel like a long day. I remember thinking that I might get some stuff done around the house, or that I might give some attention to my other child during the session. That was not always the case. Know that you are often asked to be a part of the therapy or to watch at least some of it so that you can follow up with home programming between sessions. Later, when my boys were 3 through 5 years of age, they went to the preschool at the local elementary school. It was a program with a mix of kids — those who were developing typically, those with various special needs, and those learning English as a second language. The Colorado Preschool Program offers this at no cost for children who are eligible for help in some area(s) of development. It is 4 half-days a week. This preschool could be near you or not so near — you will be told where there is a designated program that currently has availability. This worked out well for us, but I do know some people who had to go to a school that was not their neighborhood school. I remember my kids liking this experience and their development was well-documented, which is great because I still have some of the wonderful scrapbooks they created there, with photos and drawings and kid comments that the teachers wrote down. For one of my sons, a bonus was that it eased his transition to Kindergarten. They had a visit-the-next-grade day. Between that and overall familiarity with the school, he was more excited than scared to go to Kindergarten. Step 4: Monitor progress and advocate for your child as needed. The schools have very strict guidelines for when they can offer how much of what – children have to show a particular level of difficulty/delay in an area to be considered eligible for therapy or preschool through the school system. So if you go through the steps above and continue to have concerns, be sure to listen to them. Ask the professionals working with your child about them. Stay involved. In the end, you are the main advocate for your child. Therapists and teachers tend to have lots of children to help, but you are the one who sees your own child most often and knows your own child best. Hopefully the above steps will lead to a successful outcome, but if you question how things are proceeding at any time, ask. If you don’t feel 100% satisfied with the answers, ask again. Or get a second opinion. It is your right and your job. You are your child’s most important advocate. A few comments as a mom I have to agree wholeheartedly with what my professional side said above. In my personal case, I found it crucial to stay involved and make sure I was doing all I could to follow through on therapy activities at home. Sometimes I had to push a bit for “homework” to do with my kids. But if I kept at it, I got it. My kids turned out to have a kind of speech problem that requires extra work to master the speech sounds. Given that, it was a good thing that I did the extra practice. Sometimes the match of therapist to my child was not optimal – in my case, my older son communicated at first only by signing. The therapist we were given at that time couldn’t understand him because she didn’t know sign. This is a case where you have to put social niceties aside and advocate for your child. You will be asked to be involved in meetings about your child to set therapy goals for him/her. Know that you are truly a part of the team, even if it seems at times like they’re a team and you’re a bystander — or they are professionals and you are “just the parent.” That is not how it is supposed to work. You are supposed to be involved in creating the goals and you can make the final decisions about them — don’t feel you have to just go along with what is suggested if you aren’t 100% in agreement. Make sure the goals are in line with what you feel is important to your child and what you believe is functionally relevant to his or her life. Be respectful of what the professionals know, but remember that you know your child better than anyone else. Your active participation and your contributions can truly make the process work best for your child. For other school districts in Colorado, see the Colorado Department of Education website at https://www.cde.state.co.us/early/childfind. MOD Moms runs events almost every day of year, weekdays, weeknights, weekends! In addition, we provide a lot of great information for families living around Denver! 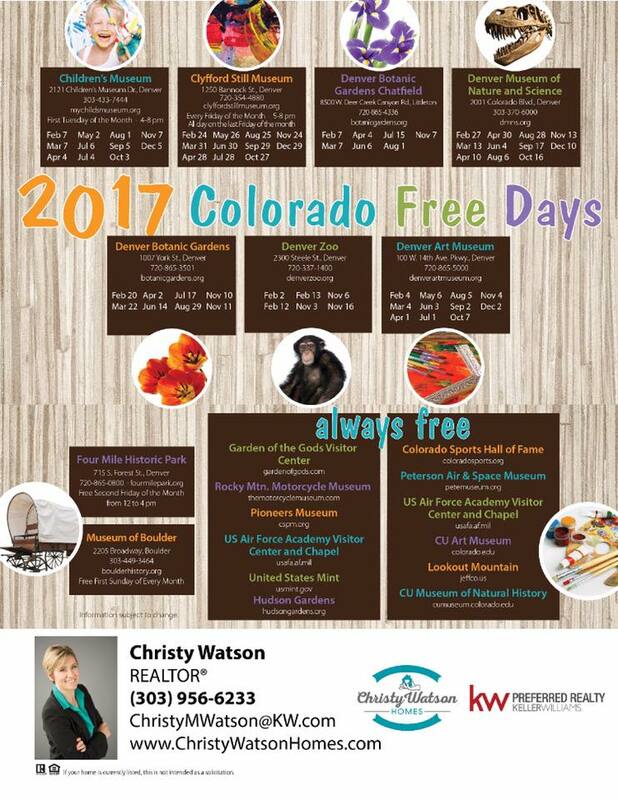 In this post, MOD Mom Welcome Co-Chair Christy Watson and her Sponsoring Firm, Christy Watson Homes, Keller Williams Preferred Realty provides this fantastic resource of FREE DAYS around Denver throughout the year! We are catching up our blog with a great big ‘Thank You!’ to March’s Volunteer of the Month, Rebakah Ausmus! Rebekah met her husband, Jason, at Michigan State University sixteen years ago. Go Green! Go White! They have two energetic boys; Carter (age 7), Luke (age 4) plus Chewy the Hamster (age 1 on St. Patrick’s Day). Their family moved to Superior, CO three years ago and absolutely love this little community. Rebekah became a MOD Mom when she moved to Colorado three years ago. On the long drive here from Michigan the reality of actually moving so far away from home and not knowing anyone hit. She Googled moms’ groups in the Louisville/Superior area and MOD Moms popped into her search. “In truth, I was a little intimidated by the size of the moms group at first but soon discovered my fears were not necessary. I am so glad I started going to activities which resulted in meeting so many nice parents,” Rebekah tells us. Rebekah is our Director of Partner Events. She worked in events and sales for a major hotel chain for six years then once becoming a parent she worked in the bridal department for Pottery Barn for two years. “I truly love getting to know people and bringing people together for any reason. If I can partner with a local vendor that results in a fun event for the moms and/or the kids then I am super happy! I hope to maybe start a decorating and renovation subgroup next year since I know a lot of us are renovating right now,” which is exciting to a lot of our moms. Rebekah loves the Easter Egg Hunt! That was the first event they went to with MOD Moms. She is excited that it is coming up in a few weeks. The Holiday Party has the best Santa ever! Plus, the moms that plan the Holiday party do such a great job collecting food for others in need in partnership with Community Food Share https://modmomsnorth.org/philanthropy/ Their kids love all the free classes at the local gyms and Great Play. Rebekah is in the cooking club, which is kind of funny because she feels she is not the best cook but that the ladies there really inspire her to try new things. Don’t let her fool you, Rebekah is an extremely talented cook! Their family is excited to go to the MOD Moms Movie Event this year for the first time. MOD Moms is renting out the theater to view Beauty and the Beast and we rented out the theater twice in 2016 to view Zootopia and Finding Dory. She is also beginning to attend the brunch club, because who doesn’t love brunch? Thank you for all that you do to make this a great community, Rebekah! The MOD Moms Volunteer of the Month will receive a $25 gift certificate to use at OMNI Resorts, one of the many great MOD Moms partners. The gift certificate can be used at any of the OMNI restaurants, the Mokara Spa or the hotel! MOD Moms simply cannot function without all of the dedicated, hard-working volunteers who make the events, clubs, playgroups, partnerships and behind-the-scenes stuff happen. Thank you to all of you fantastic women who help make this group a wonderful place!